Certain body types are common within the long haul driving community because eating and exercise habits will tend to be similar due to the nature of the work. Our recommendations aren’t going to make you as buff as your favourite action star, but at least the next time you visit the doctor’s office for your yearly medical, you’ll be able to tell your doctor that you’re staying healthy by keeping up the number of hours you exercise. It’s Too Cold, Dark, and Empty Outside! If you have room to sleep, you have room to do planks. 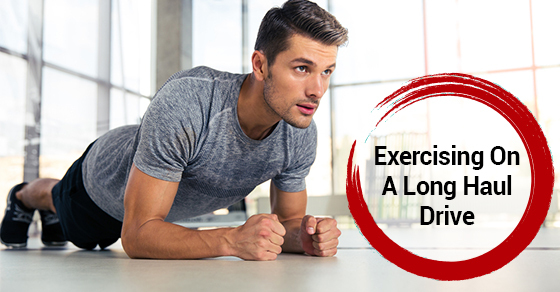 Planks are great exercises for your core and like crunches and sit-ups, there are many versions of concept that will exercise the different areas of your body. You can also keep a minimal set of weights for conditioning and strength training to workout specific parts of your body. For weights that easily roll around, consider throwing them in a gym bag or using a miniature weight rack for more permanent storage.